With our extensive experience in Embedded Control Design systems, we are able to achieve a remarkable name in the field of Embedded Control Design Services. Our expertise ensures seamless designs with proper interoperability of different devices. 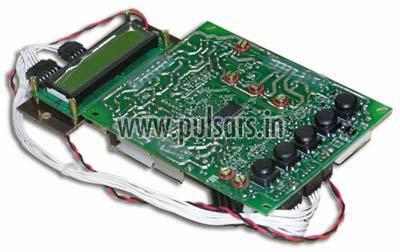 Our skilled team of engineers assures an efficient Embedded Control System Design from concept to the final product. We can work within the time, cost and power budgets specified. The typical customer has been machine builder Ã¢â�¬â�� mostly mechanical or electrical people Ã¢â�¬â�� leaving the entire responsibility of control system to PULSARS. With technological advances, as and when new chips and devices hit the market, we take up the responsibility of redesigning running products so as to deliver to the customer better cost efficiency / improved performance / added product features etc. This is done as an extra service without any cost to the customer, in ongoing projects of all our customers. The manufacturing set-up is well tuned for flexibility in product mix and small lot sizes. Automatic test jigs are designed for each and every product and the sub-assemblies. Testing is a carried out by qualified persons with latest tools / meters / temperature chambers etc. At each stage right from design up to final assembly, attention is paid to EMI / EMC considerations. We have worked with a variety of cores such as 8051, M8, Renesas, ARM, ARMCortex etc..